Don’t worry, Diego sat in the backseat with the kiddos. 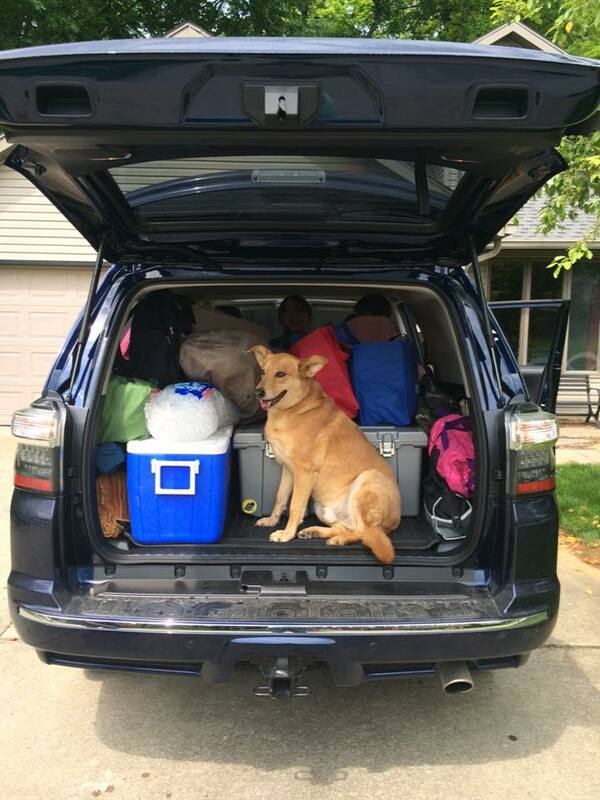 Summer is the season for packing up the car and heading out for vacation. Whether you are someone who rents a home, camps, or goes on long road trips there is something to be said about that time away from home and making your vacation as comfortable and cozy as you would be in your own house. My family enjoys camping, we always have. Instead of asking for a china set and kitchen wares for our wedding registry, my husband and I asked for camping gear. We spent our whole honeymoon at Yosemite, most of it in a small two-person tent. 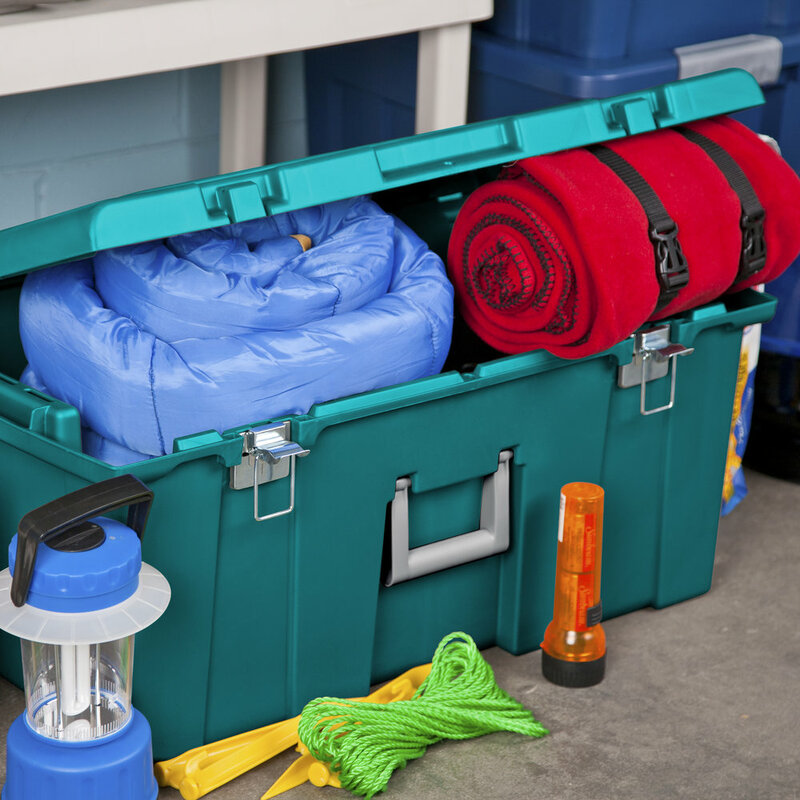 Over the years I have honed my abilities to pack for these trips, finding out what items just add to the clutter and what I really need to pack to enjoy camping fully. My kiddos have gotten better as well, although they always pack too many pillows in my opinion. After years of throwing things together last minute and often forgetting something important, I came up with a method that really worked for me. I purchased a footlocker large enough to hold all the items I needed for camping so when I wanted to take a spontaneous camping trip all we had to do was grab the footlocker and pack some appropriate clothing and food. I found the footlocker at a local box store and it was only $20 so it was not only affordable but easy to pack into the car and a piece of cake to store when it wasn’t in use. When I eliminated the bulky items like the tents, bedding, and food it was pretty easy to fit all the other essentials into the tote. After a few camping trips and edits I created a list. I kept this list in a ziplock back in the tote and if, for some reason, I needed to take something out of the footlocker, like dishes to clean, I would cross out the items so I knew I need to repack them for my next trip. Now that I have this system in place it makes packing quick and simple. 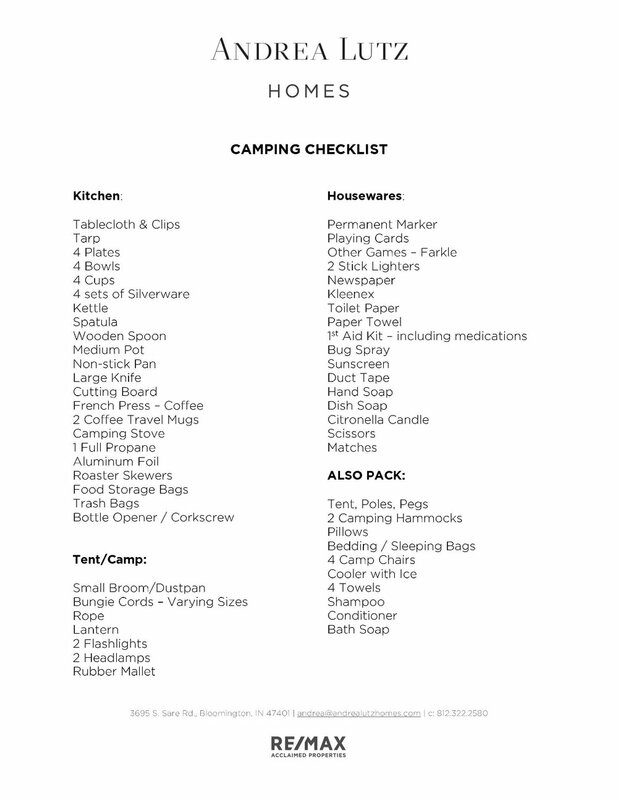 Below you will see my camping checklist. Just click on the image for a downloadable PDF that you can edit to your needs.